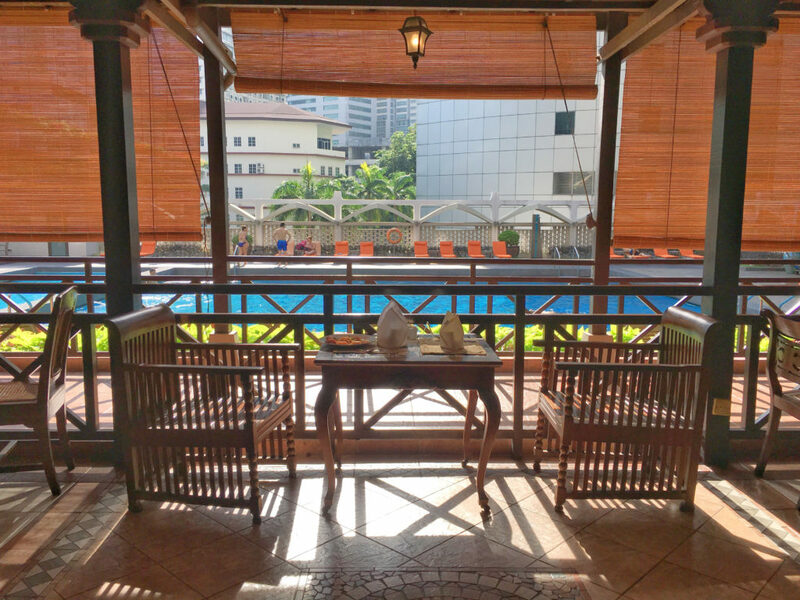 I have never been treated this good in any of my hotel staycation.” This is what I told myself after entering my Premier Room at Concorde Hotel KL. The moment I entered the hotel lobby, I instantly noticed its wide space with numbers of tall white pillars. 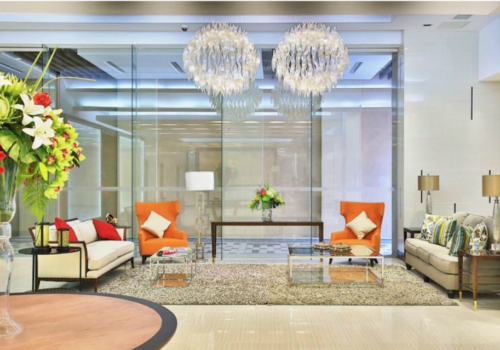 The lobby was occupied by guests wearing their best business attire, talking to someone over the phone, looking so busy. People shaking hands while probably meeting their clients or business partners was a usual scenario. 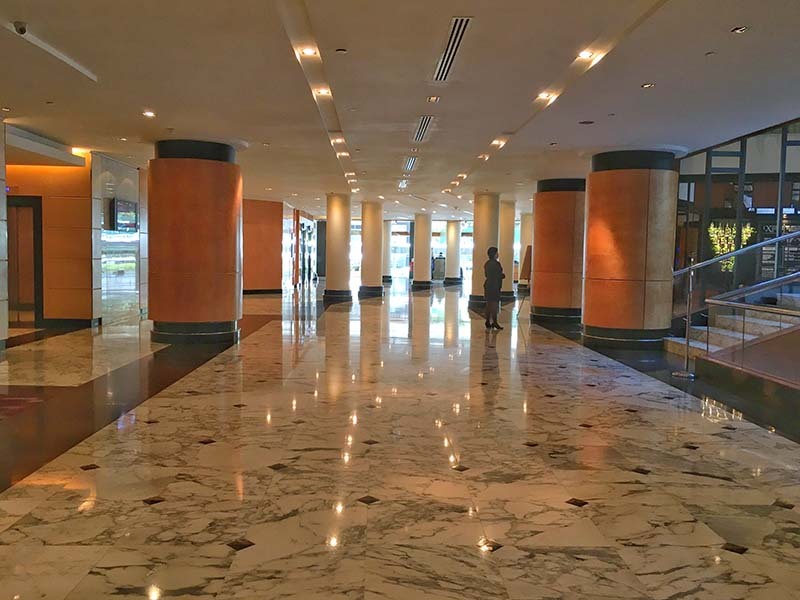 Clearly, Concorde hotel is a favorite place for people who mean business in Kuala Lumpur. Next door is the Melting Pot Cafe and on the other side, just a few steps away is Hardrock Cafe. I immediately proceeded to the front desk and said that I will check in. After a few minutes, the staff helped me carry my things and escorted me to their Premier Lounge. 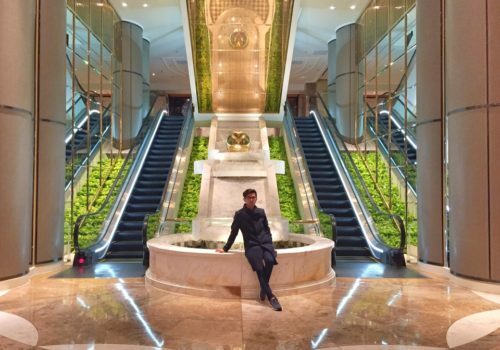 This lounge is exclusive to the premier guest. 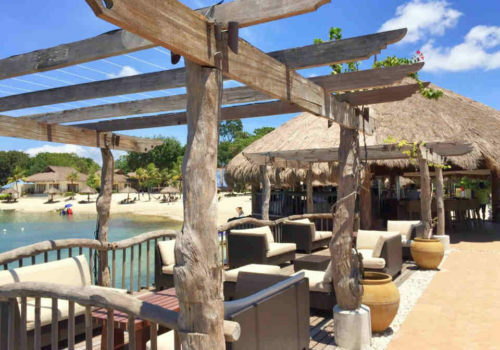 It’s clean and cozy, has comfortable chairs, and free flowing hot or cold beverages and bite-sized cookies. The staff are also courteous and prompt to assist the customers in need. I informed them that I will have a quick snack before I proceed to my room. Their staff took care of my luggage so it will be easier for me to move around. 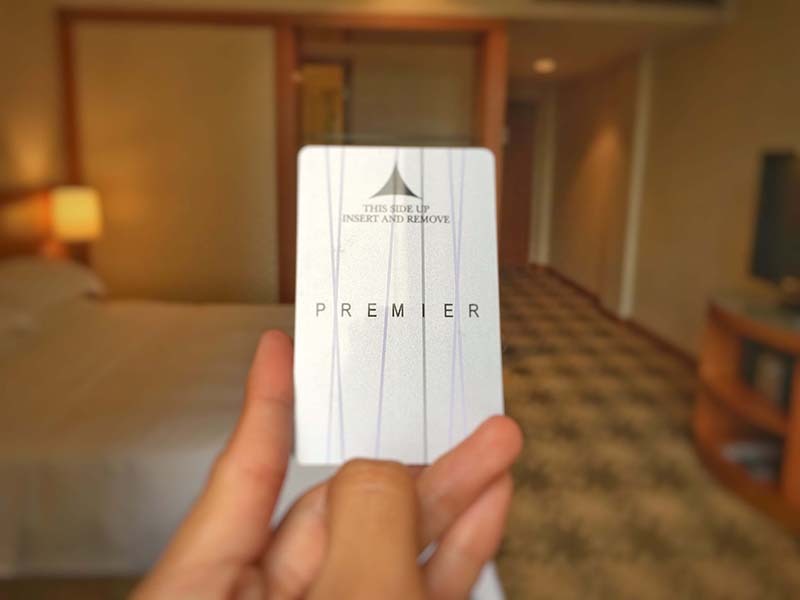 “This way to the premier elevator,” said Jie Jing (Concorde Hotel’s Asst. MarCom Manager). I just said “wow,” Premier guests are entitled to use a private elevator going to their room. As we walked around, I noticed that the entire hotel floor is carpeted, which I know is not that easy to maintain. I’d been to a number of hotels and I rarely find a fully carpeted floor. I’m giving plus point to Concorde hotel team for keeping it clean and odorless. I have a high expectation whenever I stay in a luxury hotel. We should get what we pay right? 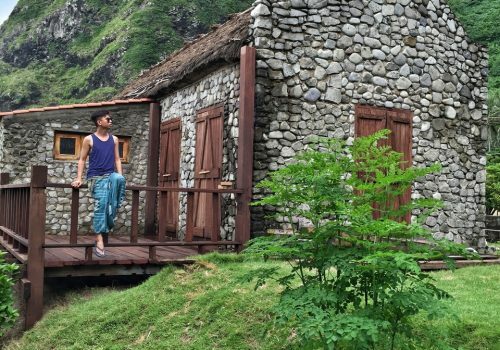 Luxury travelers should demand luxury experience. The moment I opened the door, the view of the premier room struck me. It’s so lovely with consistent design – a touch of white and brown and high-quality furnishings. The floor is fully carpeted, the wall has a nice plaster, and most importantly there was no strong odors, such room freshener, strong cleanser, or old smoke. On my way to the bathroom. I love that they have a full-length mirror near the closet. The bathroom is my favorite part of any hotel room next to the bed. It is spacious, the counter has a sufficient space for my stuff. It’s made of marble, unstained and unchipped. The tub was wide, not too high to step into, and has good water pressure. There were complete toiletries and plenty of fluffy and high-quality towels. I immediately went to the glass window to check the view. The curtain was made from a pleasant fabric with a layer that blocks the light. I got a nice pool and city view and right on the spot was a cool workspace. That was perfect scene while working on my emails. I slowly pressed my bed, it has the right amount of firmness and softness; distinct and all cotton sheets. This is a kind of bed that would totally give you a good night sleep. Before I forget to mention, oh! The pillow it’s irresistibly soft! 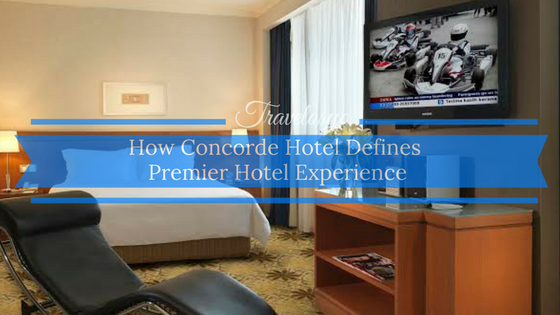 Concorde Hotel premier room is also equipped with a safety deposit box, a good size flat screen TV, a mini bar, and an AC system that you can easily adjust. Not to mention, they have a strong Wi-Fi connection. The clock ticks, it’s 6:00 p.m. Cocktail time! Did you know that premier guests have an exclusive invitation to the Premier Cocktail reception? It happens every Monday-Friday 6:00 p.m to 8:00 p.m. Isn’t it awesome? There are a variety of cocktail drinks and finger food to enjoy. 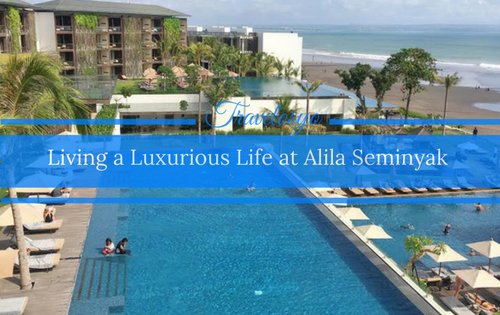 This is something you shouldn’t miss during your stay. If you want to have a good time while in KL you don’t need to go far. Hardrock Cafe is just around the corner. Known to be a haven for fans of music, food, and great times. 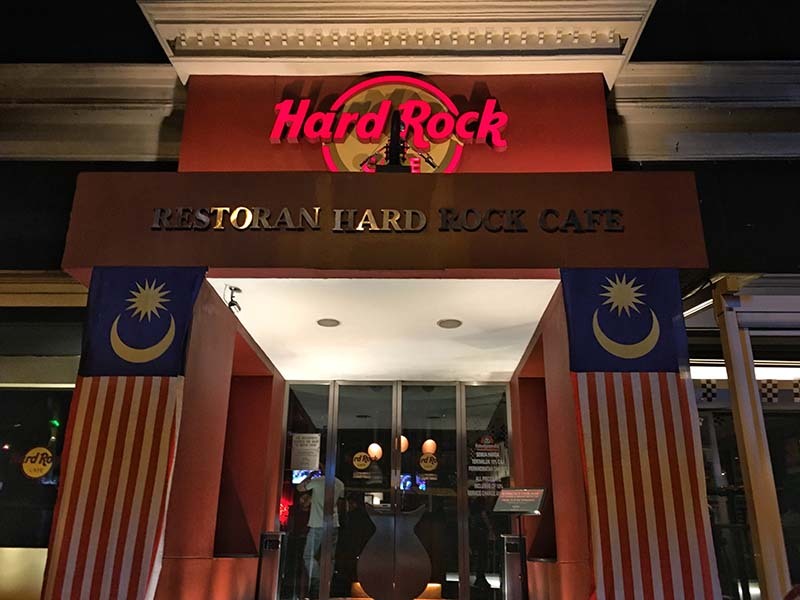 Whether you want to chill or eat some American cuisine, Hard Rock KL is the perfect spot for you. What food you shouldn’t miss aside from their legendary burger? I super love their Spinach Artichoke Dip, this is the best appetizer I ever had. In fact, we ordered it even after eating our main course. That’s how delicious this starter is. 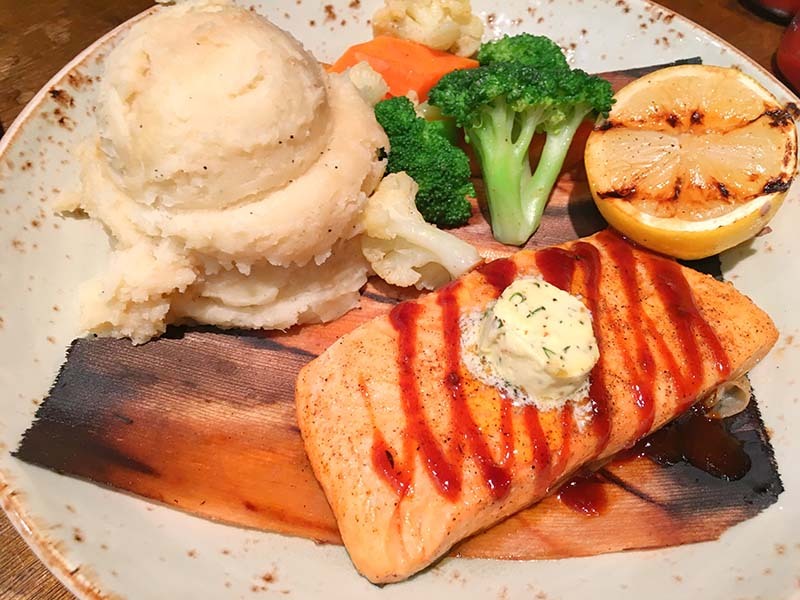 If you are a Salmon lover, you should order their Grilled Norwegian Salmon Fillet. It’s so tasty – Salmon wrapped in cedar paper, grilled, and drizzled with sweet and spicy barbecue sauce with maitre de butter. Ohh Gosh! Mouthwatering! The next day, I woke up early to have a breakfast at Spices Restaurant. Another exclusive treat for premier guest. 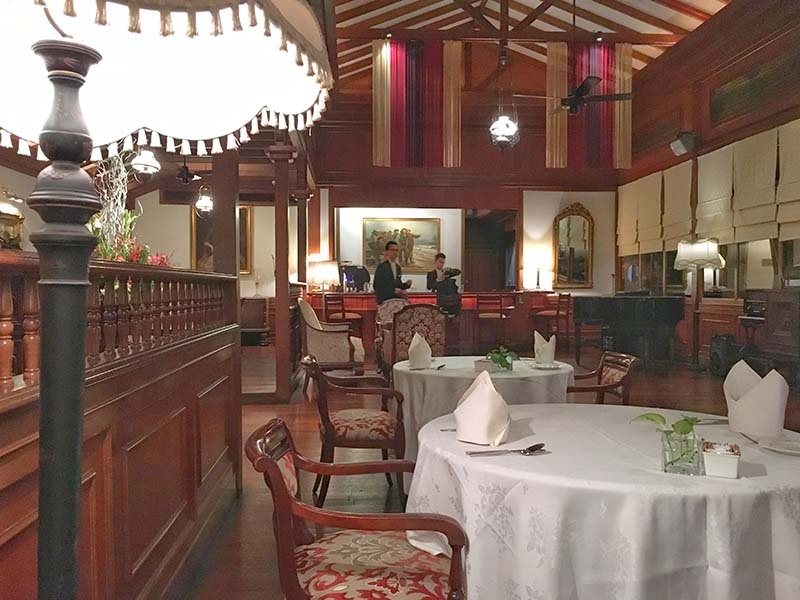 Located on the first floor overlooking the pool, someone will surely notice this fine-dining restaurant. Situated in the middle of the Concorde property, this rustic restaurant makes me feel like having breakfast at the countryside. The food is delightful and there are plenty of choices. Chairs are comfortable and staff are helpful. What I love most is the soothing environment, unlike others that look crowded and busy during breakfast hour. My experience at Spices Restaurant was totally different. 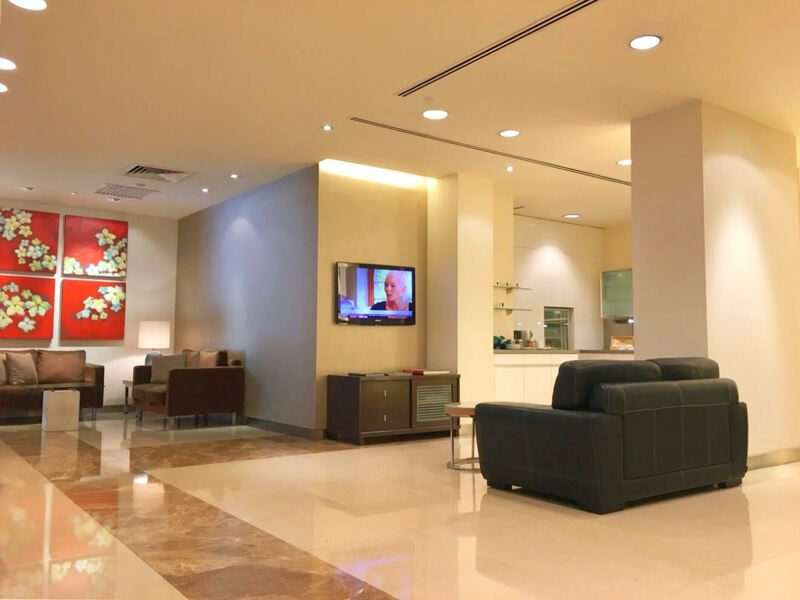 Other benefits of staying PREMIER class with Concorde hotel is the access to premier Fitness Centre and complimentary normal laundry (excluding dry cleaning) for 2 pieces daily per room. 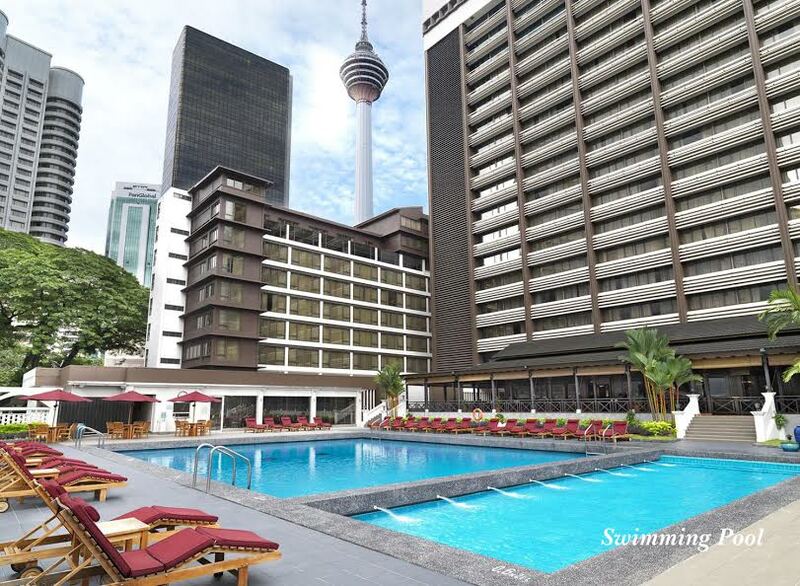 Do you have a business or leisure travel in Kuala Lumpur? 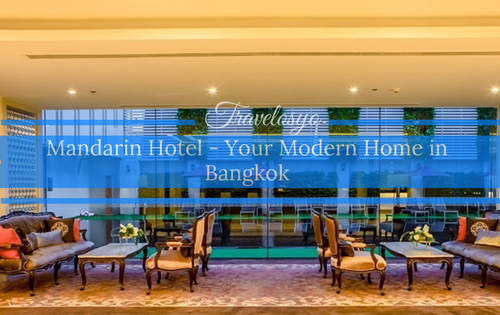 Choose the hotel that will give you the best value for your money, go for a premier class experience. 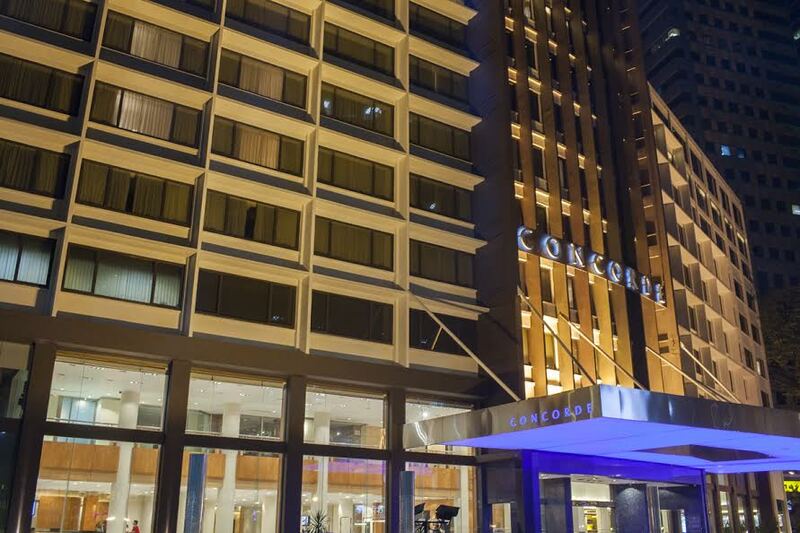 Book your next stay only at Concorde Hotel Kuala Lumpur. Get a discounted rate by clicking the photo below! 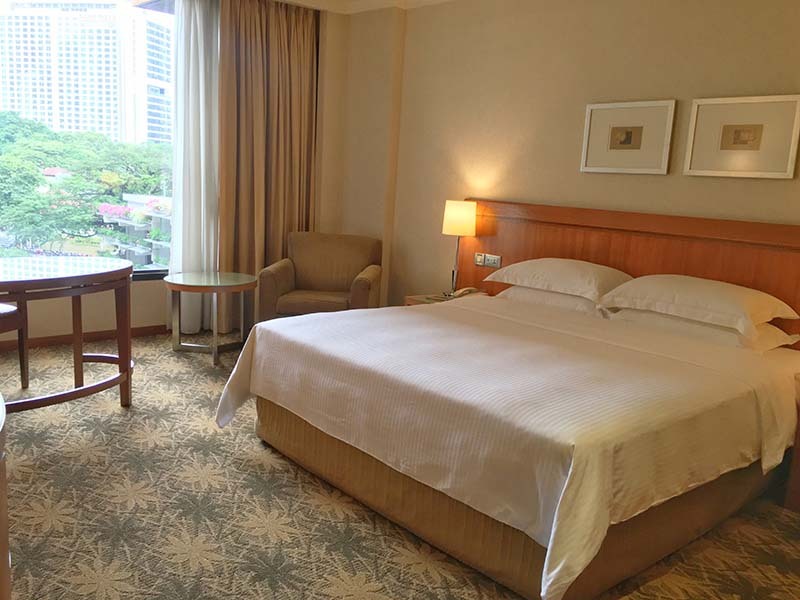 Note: This is a sponsored stay with Concorde Hotel KL . All views, posts and opinions shared here are my own. I definitely agree with you when you said that bathroom is the next thing you check after the bed. Well for me, the look of the bathroom is important as I judge a hotel from the looks of it. haha. Great that you liked Concorde Hotel’s bathroom, meaning I can actually check it out too when in KL. Thanks Cai! 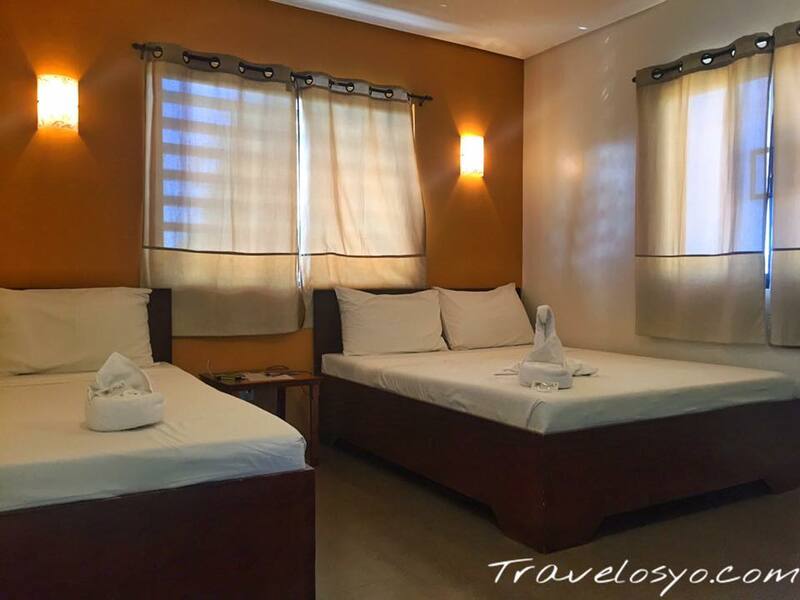 Loved the interior and the ambiance very soothing and tranquil. The hotel sounds like a great family stay with amenities. We are surely gonna consider this on our visit. We absolutely love KL. We plan on visiting again later this year. We’ll have to check out Concorde. It sounds great. The hotel looks luxurious for me. I always look at the CR first every time I check in. Because heater is #1 priority LOL. 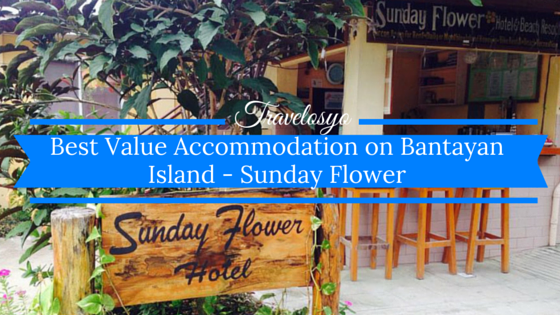 Nevertheless, they got a lot of amenities so it will make your stay definitely worth it and be relaxing. Hey you have a knack of writing. Loved reading every bit of the story. How I wish I get ot stay even for just one night in Concorde! The pictures give justice to its elegance and delicate simplicity!